I'm not ashamed to admit that I found Sunday's race a little bit emotional. Not teary emotional, just an event I came away from having very strong feelings about. 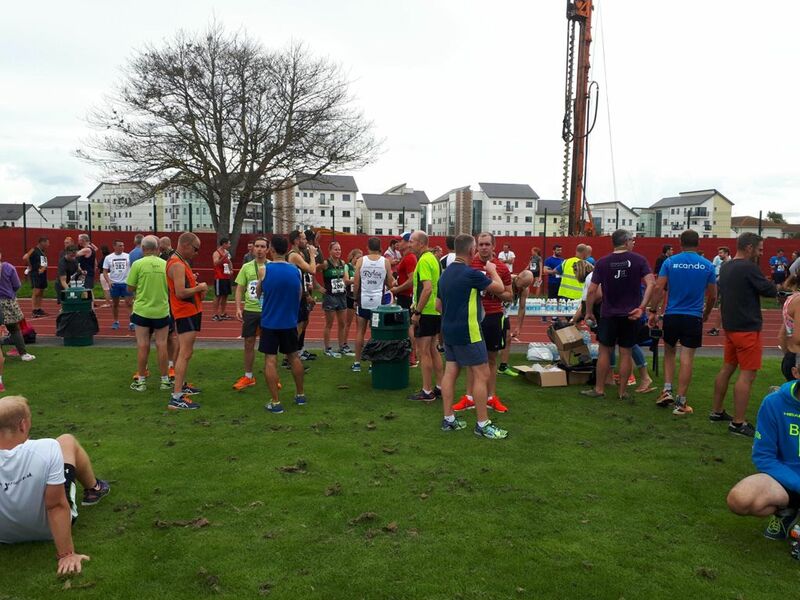 I came into the 10k race interrupting my marathon training to have a break from the distance work and have a go at getting some serious speed work in, and maybe see what kind of dent I could make on my 10km PB. 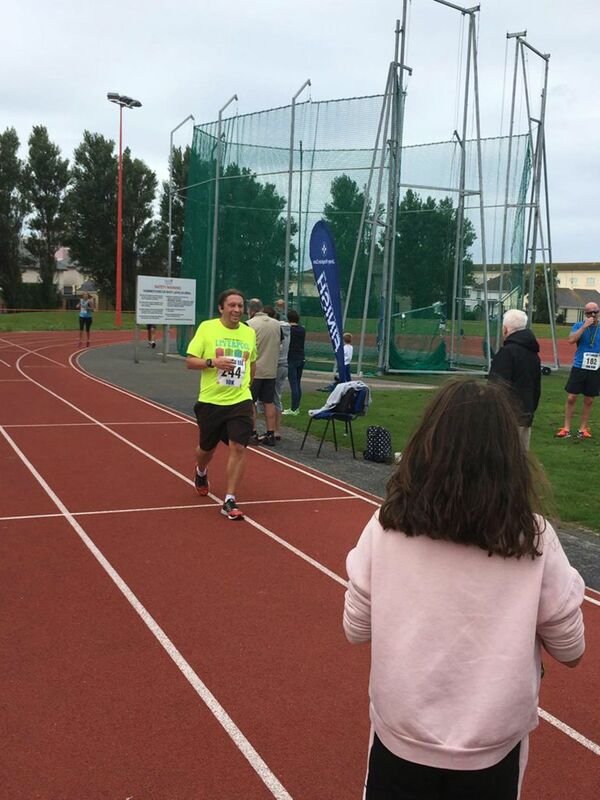 The Jayson Lee Memorial 10k Run was to be possibly my only proper 10k of the year, and my parkruns of late - being all consistent low 24-minute runs - told me that the fabled sub 50-minute 10k was a possibility. Before the start I heard some chatter in the crowd about there being 450 runners but that felt a little on the high side and that 250 was more likely. 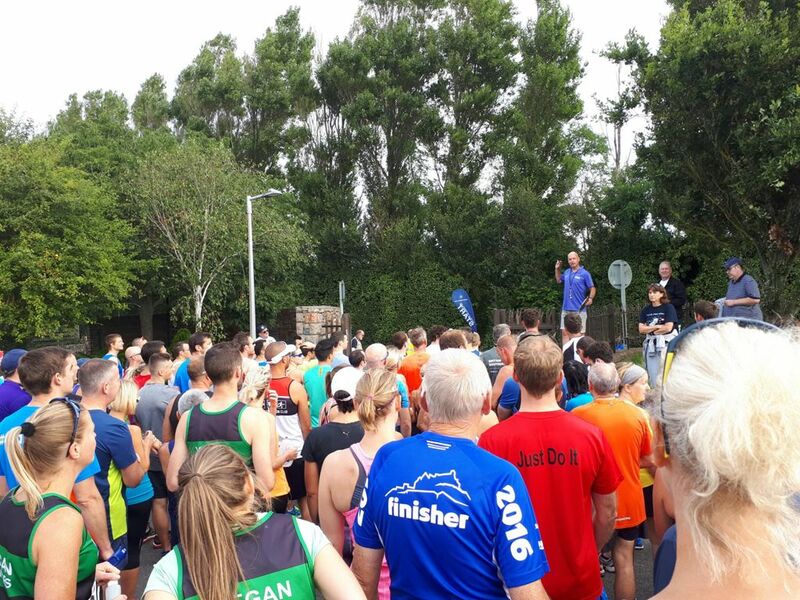 Then again I'm fairly rubbish at guessing the numbers of attendees at our local parkrun. It actually turned out to be about 230. Still a great turnout though for a local charity run. The course was a good one, if a bit undulating. The start was busy but with plenty of space to run in. It just took a few minutes to find people about my pace to run with. I had come into the run with a game plan of running fairly steady 5-minute kilometres and a faster tenth to come in under a 50 minute 10k. 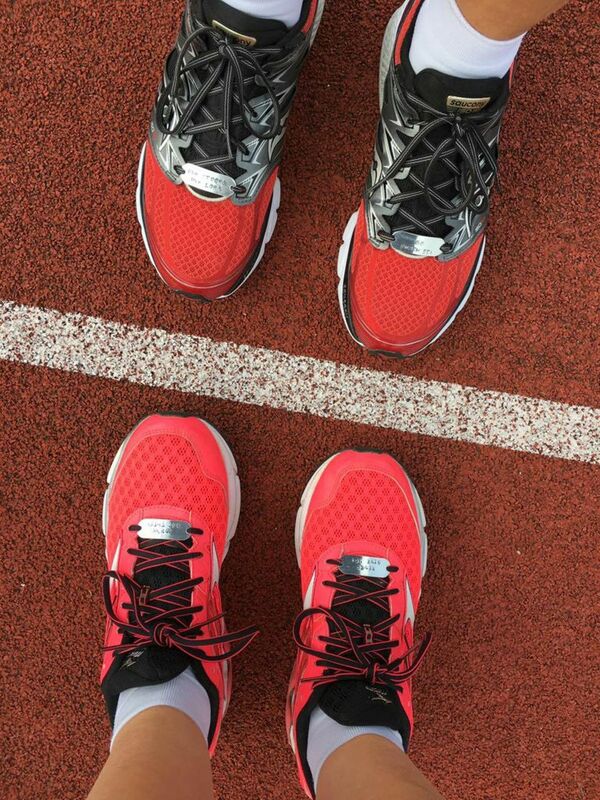 I set out more or less on track, maybe a fraction fast, with 4:51, 4:54 and 4:53. I thought it might have been a tad quick but I also considered that I had some time in the bank that I could use later. The 4th kilometre had the first hills, one of which I'd forgotten was there, so I allowed myself a fraction slower at 5:03 then it was back on plan for the run to the turn and back towards the inner road and a gentle climb - 4:57, 4:59 and 4:58. When we hit the inner road it should have been a good feeling knitting I was into the last third of the race but it really wasn't. The 8th kilometre was essentially all uphill - very gently uphill but uphill all the same. I think we also had some wind in our faces on that run back. It just felt hard and even the short downhill sections didn't result in any particular improvement in speed. The 8th km was a 5:12. I wasn't really happy with that but at least I did know I had time in hand and my target was still in reach but I couldn't run that pace all the way to the finish. On this return run where I'd allowed myself a lesser pace, I'd found myself following someone who was clearly on a similar target so I allowed myself to sit in behind her until about a mile to go. Knowing the rest of the course very well I knew it was pretty much gentle downhill all the way to the finish at FB Fields and I got my pace back. The 9th km was a perfectly acceptable 5:01 and then I just kept on going. I lost my running partner, although she did try to come back at me entering the lap of the FB running track but she didn't come past. Before that I'd seen someone in the distance who I used to work with. They'd clearly accelerated too though so I wasn't really aiming on catching them. I was able to accelerate but I didn't have a kick in me for a proper sprint finish. 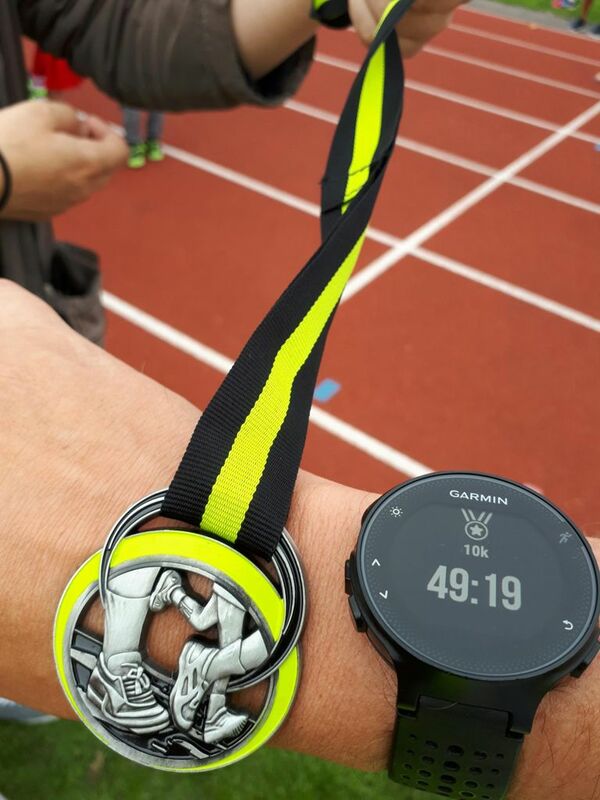 But I did finish well and most importantly inside my target 49:16 per GPS timing (49:33 semi-officially although there was a results mix up so I may never have an actual finish time). After the race I realised why I didn't have a finish kick in me. My final kilo was a 4:26 which was my 4th fastest kilometre on record. I never realised I could sustain that sort of pace in the finish of a long run so that was a fantastic achievement. I don't really know how I did it because I felt I had nothing left to give, but it was a good sign for future long runs. A day after the run I'm still feeling great about the run and grateful for the support I had at the finish. It was a great event and I'd certainly look forward to doing it again.